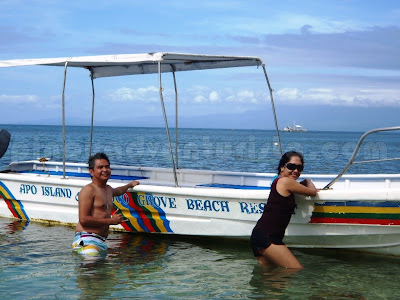 On our second day in Siquijor, we spent the whole morning just bumming around the resort. We enjoyed the white sand and the pristine clear waters of the beach at Coco Grove Beach Resort. We had an awesome morning swim while basking under the hot rays of the sun with tropical palm trees all around. Relaxing! The allure of this beach is its starkness. It’s raw and simple. The sand is fine and white with just a few crushed corals in some areas. It is isolated from other resorts, so if you're looking for some quiet moments, this is the best place for you. The view is simply stunning! The rock formations on the beach’s far end are truly amazing! They have a busy dive shop for those who want to dive. 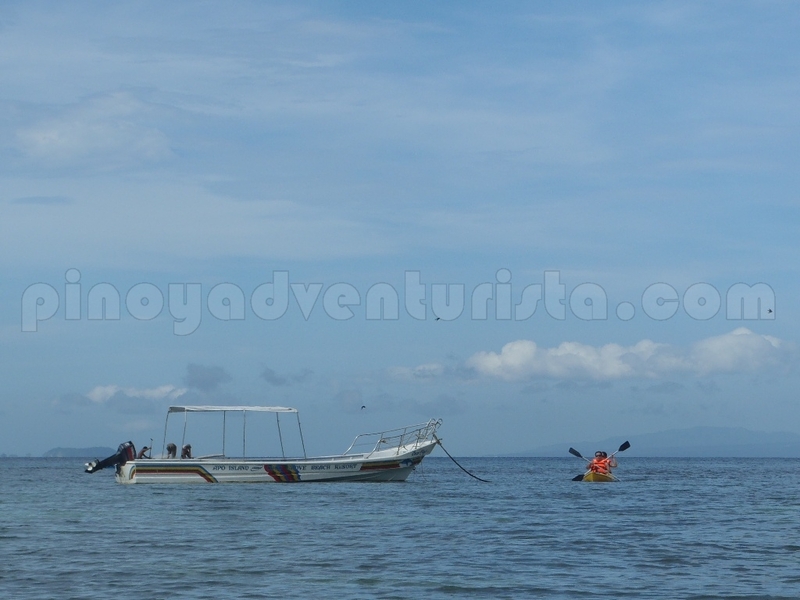 You can easily arrange with them a trip to Apo Island or nearby islands and dive spots for a day of diving. But since we don't know how to dive, we settled for the kayak. Kayaks are free for checked-in guests. We took 2 kayaks. Marvin and Clarice at one kayak and me, doing it solo on another. 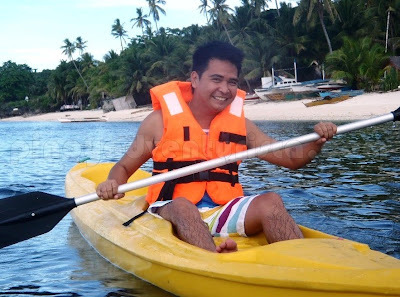 This is not my first time to kayak, I had my first kayaking experience in Bulusan Lake few weeks ago, so it wasn't hard for me to navigate it. 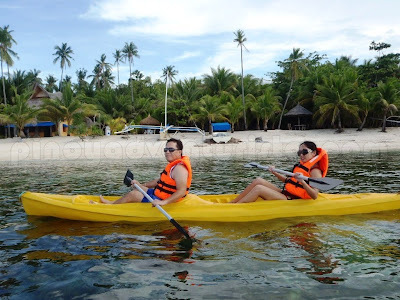 We were just enjoying it as we paddled through the length of the resort's shoreline. This is truly an amazing place to stay! 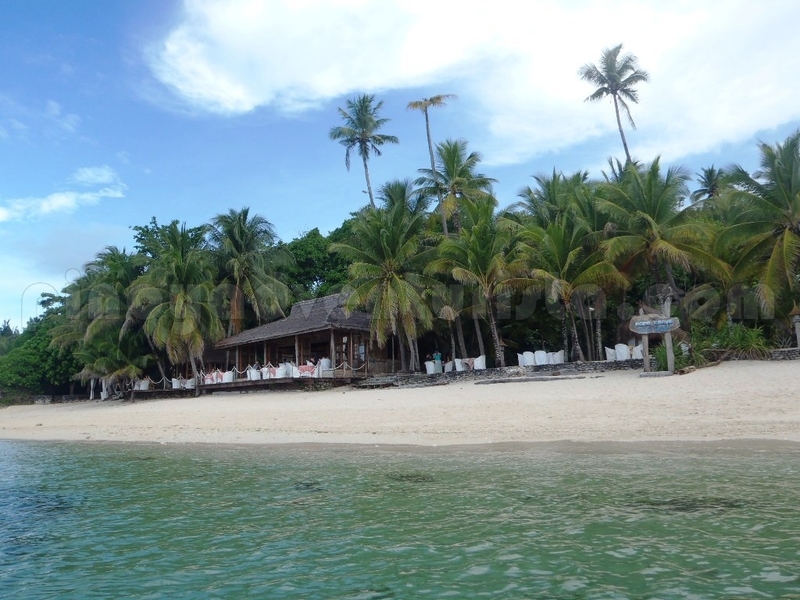 Overall, Coco Grove's 800 meters of white sand beach and crystal clear waters make this resort exceptional. Posted on March 31, 2012 Categories: Beaches , Hotels and Resorts , Resort Reviews , Resorts , Siquijor , Trip ko 'to..
Oh my.. I think Siquijor will be our next destination! haha nice photos here! 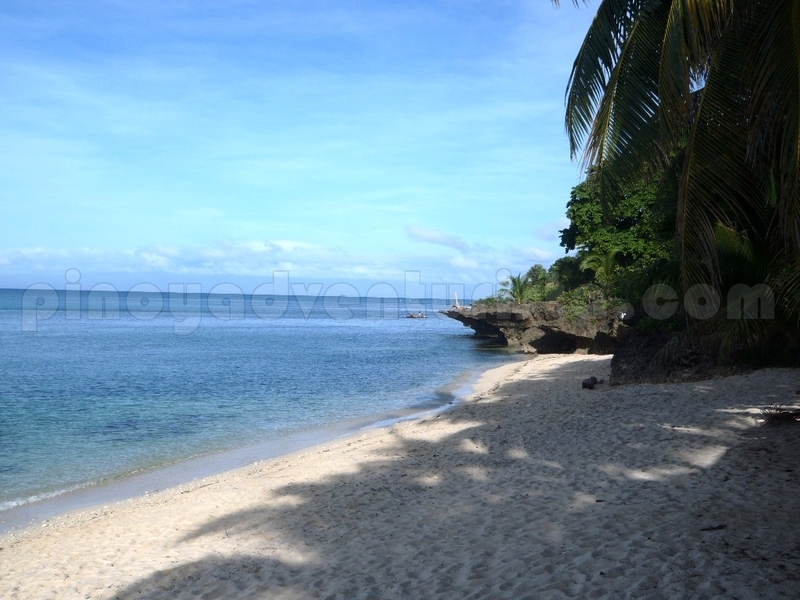 Siquijor is really nice! How was your budget for this whole beach escapade? 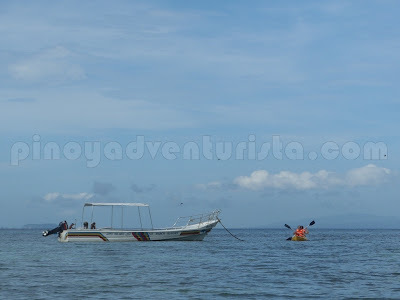 I also have no experience in diving so I might choose the kayaking as well but would love to try diving din sana. Matagal ko ng gustong mag-kayak, kakainggit naman. Di naman siguro ganun kahirap matutunan, right? 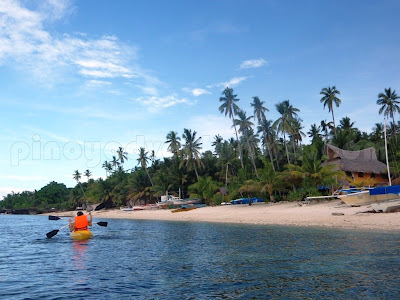 Sana makarating di ako ng Siquijor, a beautiful and mystical island. Perfect getaway for a romantic date. I miss the beach! Saktong sakto to pangtanggal ng stress. Kayaking is one of the many things that I like to do when I'm on a beach and yes, boating as well. Looks as you guys had so much fun in here. Sana mapuntahan naman ito soon. Looks like a nice place ... I still prefer archi though. galing! 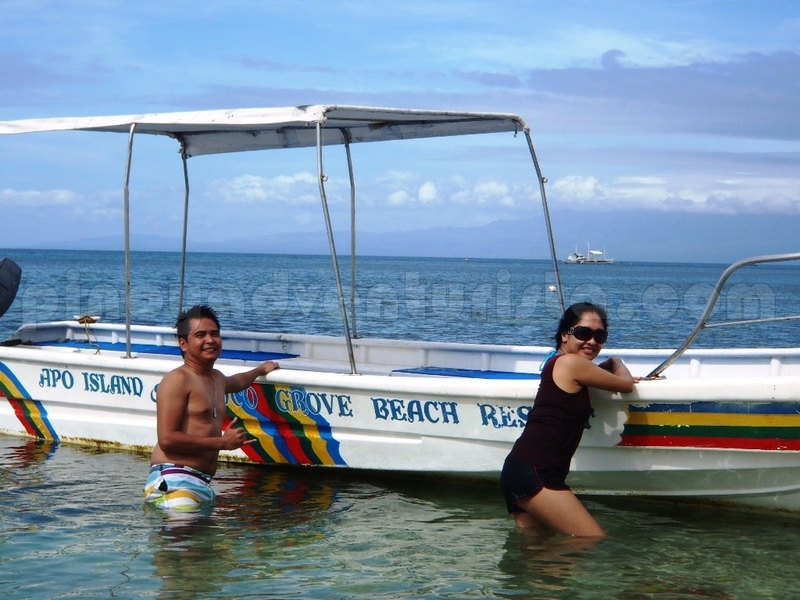 good thing there are people like you to navigate (parang kayak)the stories about siquijor from sorcery to beaches! nice promotion! Like ko pumunta ng Siquijor Island simula ng mabasa ko siya noon kay Gael. Pero di na ako ubra na mag travel :-( Sana nga payagan na ako ng doctor ko at sana gumaling na ako para wala na yan risk risk na yan. Buti ka pa lagi kang nag lalayag! Puro beach na nakikita ko! Summer na! And this place looks beautiful! Yes! I grow up in this place. In 48 years long I never met an aswang. And patay na ang mangkukulam matagal na. Your post made a very inviting place all the more interesting to visit. My brother who resides with his family in Ireland is currently in Manila. I'll send him a link to your blog, maybe he'll consider a visit with the family.